Bhutan has been on our bucket list for quite some time. It is a unique, tiny and remote country nestled in the Himalayas between its neighbors, India and China. This is a great reference tool and logistics for planning a trip to Cambodia, Laos and Thailand. From the colonial, French-influenced Hanoi to the white sand beaches of Hoi Ann to the frenetic pace of Ho Chi Minh, Vietnam is a fascinating country that’s exotic and captivating and will make your head spin. 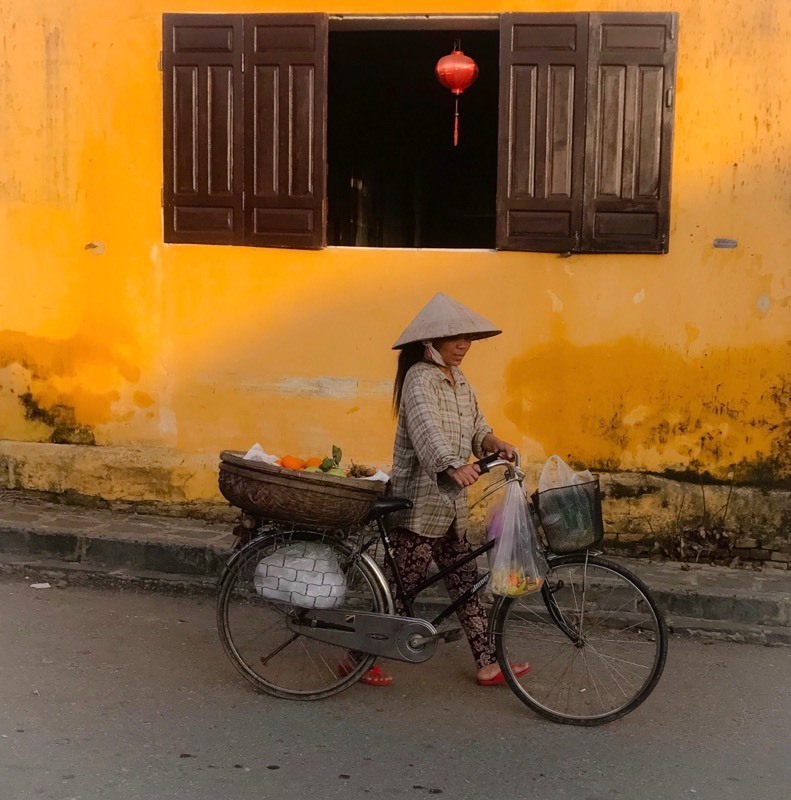 A country with a long history, today’s Vietnam is a mix of old and new, juxtaposing modern cities and ancient temples, with some of the best food in Asia. There’s a lot to do and see in one trip, and a good itinerary is your best friend. Just back from a two-week journey we are lucky a well- traveled friend was willing to share her detailed itinerary with Daytripper365, designed for her family by ASIA TRANSPACIFIC JOURNEYS. Stay: The Metropole Hanoi is Vietnam's finest hotel, located in the heart of Hanoi near Hoan Kiem Lake and the magnificent Opera House. Boasting a classical white façade, green shutters, original wrought iron detail and a lush courtyard, the hotel is one of the region's few remaining French-colonial structures. Elegant architecture and sophisticated service combine for an unparalleled experience. Morning: Begin by learning of Vietnam's greatest hero Ho Chi Minh, visiting his simple stilted house. Continue to the Confucian Temple of Literature, site of the first university in Vietnam and a serene and beautiful place in the midst of this bustling city. Other highlights today include tours to a local market, the Beaux Arts-style Opera House, the One Pillar Pagoda, and lovely Quan Thanh Temple. Lunch: Venture to Quan An Ngon Restaurant for a street food lunch. Quan An Ngon is designed with seating in a spacious courtyard surrounding a giant central tree, with food stalls on all four sides cooking food to order. Prices are quite reasonable, so feel free to sample and try a variety of dishes. The stalls are organized into categories of food, such as noodle soups, dry noodles, salads and wraps. Tour: After lunch, tour the city's Old Quarter aboard an electric car. In this part of town, each colorful street is devoted to a particular craft or ware. You will be pedaled amongst the quaint French buildings along Shoe Street, Silk Street and Art Street (to name just a few). Your tour of the Old Quarter will end at historic Hoan Kiem Lake, the social center of Hanoi. Here, attend a water puppet performance. Water puppets are an ancient form of entertainment enabling the puppeteers to control their active marionettes by levers hidden under the water. Water puppet skits generally enact ancient folklore and legends that are rural in origin, and the theme of water is often present, as it defines so much of Vietnam's landscape. The show is also accompanied by beautiful and traditional Vietnamese music. After the performance, enjoy a "behind the scenes" experience and go back stage to meet the artists and learn more about the puppets and performers. Fly: Take a seaplane to Halong Bay. Flying allows you to avoid the long four-hour drive while also enjoying spectacular views of the Red River Valley and a 15-minute scenic flight over the bay itself, another of Vietnam's UNESCO World Heritage sites. You'll be exploring Halong Bay in style and privacy aboard the Bhaya Legend, luxury Chinese-style sailing junks designed exclusively for private charters. The ships have spacious ensuite and air-conditioned guest suites designed in classic Eastern style and offering luxury fit for Imperial Royalty. Onboard you'll receive attentive personalized service, an ideal option for couples, friends or families wishing for a private, customized charter cruise on Halong Bay. Boat: Savor a delicious fresh seafood lunch onboard before continuing to Vung Vieng, a fishing village nestled among the limestone islands. Visit the village by kayak or small row boat to see the daily lives of locals up close. You'll then have the option to swim and kayak the turquoise waters off uninhabited islands with pristine white sandy beaches. Back onboard as dusk falls, watch the sunset over enchanting Halong Bay while cruising to your overnight anchorage. Enjoy a set-dinner this evening followed by an evening of leisure, or join the crew for some night fishing. Sleep: Overnight on board the Bhaya Legend Boat. Awake: Drive about one hour to the city of Haiphong, the north's largest port and former administrative center for the French. You will then transfer to the airport for your short flight to Da Nang. Drive south to Hoi An, one of Vietnam's great artistic gems. For hundreds of years, until it was superseded by Da Nang, this was the most flourishing port in the country and attracted traders (and influences) from China, Japan and Europe. Miraculously, the town has remained intact and it's still possible to wander here and imagine oneself in another age. Explore: On arrival, depart on a walking tour through the old town which will include landmarks like the Japanese Covered Bridge, Tang Ky House and the Fukhien Association. Also visit the active local produce market and perhaps browse the wares inside the town's numerous art galleries. Vespa: This afternoon, enjoy a private Vespa tour of the countryside outside of Hoi An. Setting off from Café Zoom in Hoi An, head out west along the banks of the Thu Bon River, first stopping at a bustling local fish market before heading into the rice paddy rich countryside and local villages, stopping to meet a local family producing local rice crackers. Crossing a bridge over the Thu Bon River will take you through more quiet villages and then into beautiful farmlands, where you'll take a break for a local picnic lunch while surrounded by seasonal vegetables in the picturesque fields of corn, eggplants, sweet potatoes, cucumbers, and herbs. As the sun starts to go down, you'll set off through the rice paddies, passing duck farms, visit a local mat weaving family and then ride along by the prawn farms and over the river to visit a charming family home where they produce the local and potent favorite brew – rice wine. It's then a short ride over the Cam Kim Bridge into Hoi An as the sun begins to set on this beautiful heritage town. Cycle: Go on a cycling tour of Cam Kim Island. Laid back and rural in character, the island of Cam Kim is perfect for exploration by bicycle. Crossing the Thu Bon River by private wooden boat, your adventure begins with a visit to the island's busy fishing port before heading further into the lush interior. Cycling around the island is a real treat. Paddy fields, out-of-the-way settlements, stunning coastline and even the odd precarious-looking bamboo bridge to ride across all add to the appeal of this little-visited island. There will be plenty of opportunities to stop and interact with the local communities during your leisurely cycle ride: observe local farming methods, learn about the art of mat weaving and see how bamboo basket boats are made. Experience all this and more before making the return trip to Hoi An. Float: Then, board bamboo basket boats and float down the river. Disembark and head to the 4th-century Cham religious sanctuary of My Son. Arriving here later in the afternoon will help avoid the morning crowds of tourists at this small site and also provide wonderful, soft light for photography. My Son, recently classified as a World Heritage site by UNESCO, is located in a beautiful, green valley surrounded by impressive mountains. While a small site, the ruins at My Son are the largest and most intact remaining in Vietnam. It is also the home of the Museum of Cham Sculpture, which records the development of the culture and history of the Cham people through their elaborate sculptures and carvings. Fly out the next morning. Stay: Six Senses Con Dao presents elegantly designed modern accommodations offering generous personal space with lush tropical mangrove vegetation and breathtaking views. There are 50 spacious villas, each have their own private infinity pool and unobstructed views of the East Vietnam Sea. Styles range from single-level to duplex and offer one, three and four bedrooms, with indoor-outdoor bathrooms. The efficient design style reduces air conditioned spaces whilst providing additional natural ventilation. Upon arrival in Saigon, meet your private guide and driver and immediately depart on the one hour drive outside of the city to the Viet Cong stronghold at Cu Chi. The hundreds of miles of tunnels here often confounded American troops fighting in a very foreign land. Sections are open to tourists where one can climb in and get a feel for the harsh conditions faced by the thousands of Vietnamese who lived and fought in these tunnels. Back in Saigon continue to the touching War Remnants Museum containing reminders of the war in graphic detail. Continue to the Reunification Hall, historically known as Independence Palace, the former nerve center of the war for South Vietnam. Still largely maintaining its 1970s décor, the palace rooms are surprisingly spartan. The dank, reinforced basement has large-scale maps, communications equipment and tunnels. Finish up the day with a walk through lively Cholon market, Saigon's Chinatown and a hub of activity. Haggle for unusual produce, interesting trinkets and beautifully made handicrafts. Stop by Saigon's most celebrated Buddhist shrine, the Thien Hau Pagoda. Return to the city late this afternoon where you will have a chance to relax and freshen up before ending your day with a special performance at the Saigon Opera House of the A Oi Show which combines traditional Vietnamese imagery and themes with 'Cirque de Soleil' acrobatics and showmanship. Wake & Drive: Drive south (two hours each way) into a region known as the Mekong Delta, where Southeast Asia's mightiest river splinters off into hundreds of branches before emptying into the South China Sea. The land here is some of the most fertile in the world and supports endless fields of rice and fruit orchards. On the Water: Upon arrival in Caibe, embark on the lovely Caibe Princess boat, where you'll be welcomed with fresh rolled cotton towels. The tour will start with the visit of Cai Be colorful floating market. You will visit some local home factories such as rice paste making, rice pop corn, coco candies and longans drying process. You will then return on boat to proceed the excursion to Dong Phu, Binh Hoa Phuoc and An Binh islands located between Vinh Long and Cai Be. These evergreen islands among the Mekong River bring about large networks of meandering rivers, criss-crossed with countless arroyos, and remaining unknown to many people. Add On: If you have more time, consider visiting Sapa. Take a round-trip journey to northwest Vietnam by overnight train from Hanoi to Lao Cai and Sapa, where you’ll spend your time hiking past rice terraces and scenic mountain valleys to local villages. ** This itinerary was written by ASIA TRANSPACIFIC JOURNEYS | 800.642.2742 | AsiaTranspacific.com - please feel free to contact them to arrange for drivers and guides.